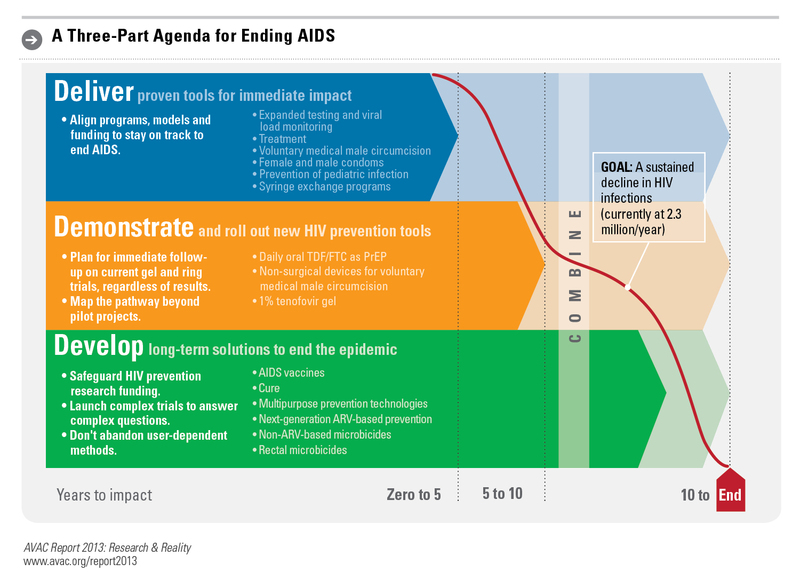 Today there are more biomedical HIV prevention strategies available than ever before. 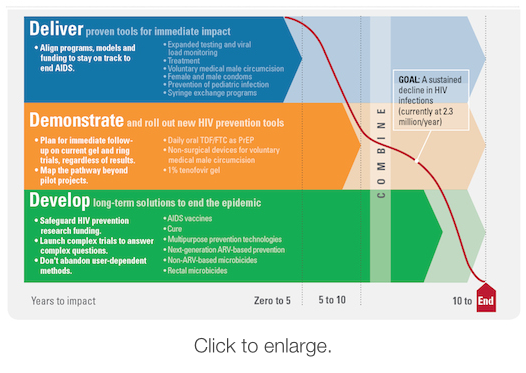 Success in turning the tide of the epidemic depends on delivering these tools at scale for immediate impact. At the same time, we need to be sure that emerging strategies are piloted, integrated and scaled up as part of continued prevention innovation. And over the long-term, we need to continue the search for an AIDS vaccine and a cure. AVAC's focus is on an advocacy agenda that spans, unites and clarifies these three areas.